OPEN is gaining momentum because it has benefits that appeal to everyone from developers to ecommerce business owners. In this article we will discuss what makes OPEN such a necessary innovation and why this is the team to do it. The enthusiasm towards the OPEN Platform initial coin offering has been overwhelming. Their Twitter feed is littered with photos of packed audiences for the #OPENRoadshow, and their key audience –developers– are keen to start applying their technology to mainstream applications as soon as possible. The OPEN Platform following is also unique in that it goes beyond the ‘tribalism’ that is so common within the blockchain industry. One doesn’t require a thorough understanding of blockchain technology to implement it, making the OPEN Platform universally appealing to business owners of all sizes, and the developers they rely on. So, what’s OPEN blockchain all about? With OPEN blockchain technology, any application will be able to accept cryptocurrencies by adding a few lines of code similarly to how they utilize Stripe for fiat payments. For those unfamiliar with Stripe, it is a FIAT-based payment processing technology that has been giving PayPal a run for its money since its inception. Like Stripe, OPEN Platform is a developer-friendly solution that will virtually eliminate the barrier to entry that most businesses face when they consider accepting cryptocurrencies as a form of online payment. And like Stripe, it’s strength comes from its simple, clear and transparent approach. Most people understand the need to accept cryptocurrency, but the technologies under the hood are always changing. With OPEN Platform, a few lines of code will provide an evergreen cryptocurrency payment solution and eliminate the learning curve associated with its implementation. Why OPEN Blockchain and Not Some Other ICO? It’s no secret that the survival of any emerging blockchain financial technology hinges very much on the speed of its mainstream adoption. OPEN is already needed. It’s already got clear use cases, and in principle it’s already in demand. OPEN is making a beeline for developers much in the way Stripe did when it was first introduced. But convincing developers to take a swing at it will be much easier; Stripe has already paved the way in developer understanding and expectation. All OPEN needs to do is deliver –the track is already laid out. Beyond all of the comparisons to Stripe, OPEN is backed by familiar faces. OPEN is held up by the same backers behind a number of recent coin offerings on Coin Market Cap’s Top 30 such as ICON, VeChain, Ontology, and Ziliqa. 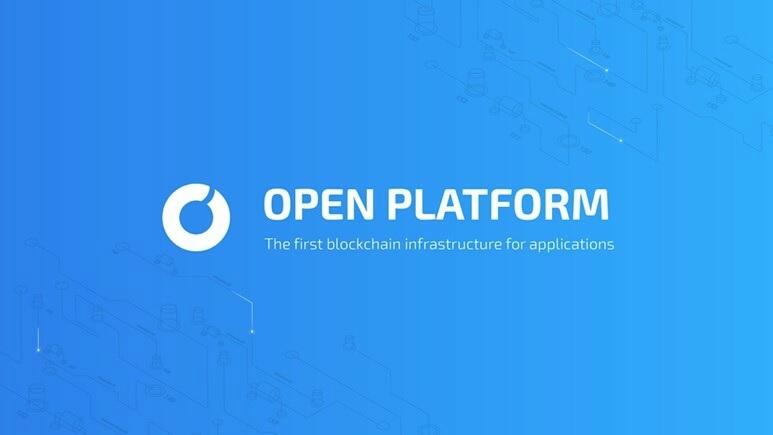 To reiterate what’s in the OPEN Platform roadmap available on the website from a bird’s eye view, the OPEN blockchain provides interoperable data transfer with a very high throughput. In plain English, that means that the OPEN Platform will be able to “talk” to other blockchains without being a bottleneck to the speed with which it can do so. It accomplishes this through the following “moving parts”; OPEN Chain, OPEN Cluster, Scaffolds, OPEN State, and a Blockchain Load Balancing Protocol. The OPEN Chain uses their Rapid Consensus mechanism to power it. When developers implement an application Scaffold, they are simultaneously deployed across the entire blockchain cluster. Transactions are first processed with the OPEN Rapid Consensus mechanism on the OPEN blockchain, threading them through Blockchain Load Balancing Protocol for speed and cross-chain distribution. From the perspective of a mainstream app developer –say, an Android or iOS developer– all they need to do is generate a Scaffold with OPEN’s online tool and deploy it. OPEN has made accepting cryptocurrency through any app or game almost as simple as embedding a YouTube video. And just like it’s FIAT cousins PayPal and Stripe, similar logic can be baked into transactions like one-off purchases, subscriptions, and confirmations to ensure cryptocurrency funds are actually available. If the purpose of existing app stores is to facilitate trustworthy security and safety for payments between the end-user and the app developer, OPEN can replace it. OPEN State and Scaffolds allow developers to cut out the app store and move towards a decentralized environment to sell their apps. In order to stay on top of this coin, you can sign up for the OPEN blockchain newsletter here or download their whitepaper.